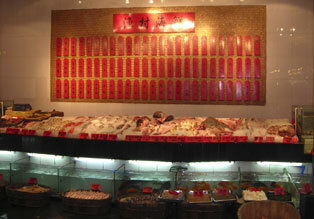 As a land of fish and rice, Wenzhou enjoys as many as more than 400 varieties of delicacies. 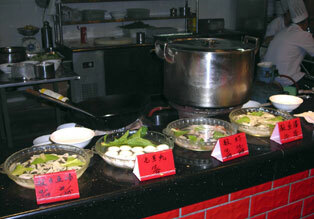 Such live seafood as swimming crab, grouper and eel are mostly welcome in Japan and Hong Kong. Anchovy, prawn, jelly fish are also well known. The vendors of food of local flavor often open far into night. 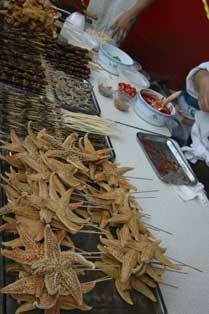 Many small and delicious specialities 小吃 are made from fish meat. In all kind of styles. 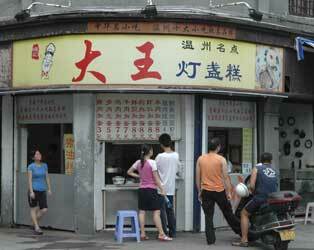 The best place to check it out is the restaurant "Tian yi jiao" 天一角 (a corner in heaven). They have 3 restaurants in different locations of the city. Check the chinese style section for more info.